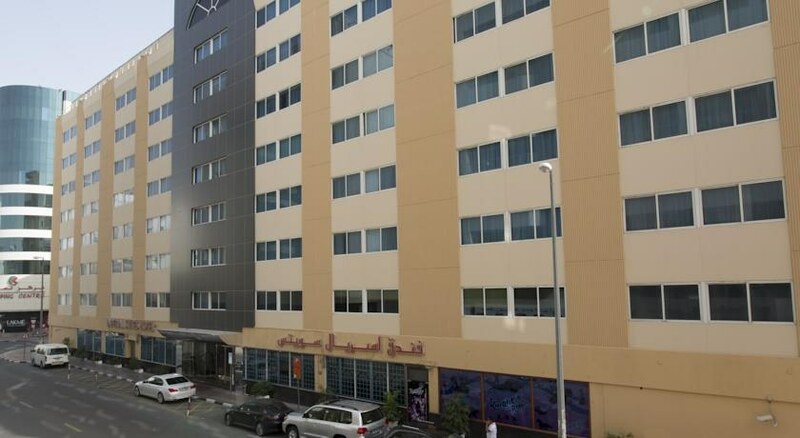 We are centrally located in the heart of city of Dubai, is the Middle East’s first all suite hotel & within walking distance from main business & shopping district. 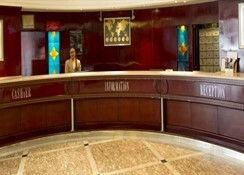 The hotel is 20 minutes from Dubai International airport & within a short distance from the Metro Station, Sheikh Zayed road, Dubai International Exhibition center, Dubai World Trade center, Port Rashid, Dubai Dry Docks and other major attractions such as the Burjuman Shopping Mall, Mall of the Emirates, Dubai Mall, Meena Bazaar,Dubai Museum, the Gold souk, Dubai Creek side and Jumeirah Beach. This modern 7-storey hotel comprises a total of 152 suites. 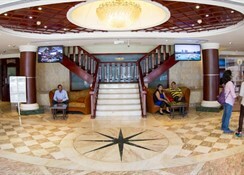 Facilities within the air-conditioned building include a safe, a cafï¿½, a nightclub and a selection of bars and restaurants. Indian dishes may be enjoyed in Haveli, in the Noble House, Chinese cuisine is served up and Mexican specialities may be sampled in Bordertown whilst snacks are on offer in the Pavilion Lounge. 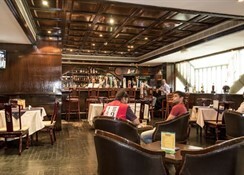 The Stay-In Alive Club and poolside snack bar serve a selection of drinks; guests may sip a cocktail in Hunters Bar. Meeting facilities are available in the form of ultra-modern conference rooms. There is an-house laundry service as well as room service and a car park to make use of. A 9-minute walk from the nearest metro station, this conservative all-suite hotel is also 2 km from the Dubai Museum and 9 km from the Dubai Mall. 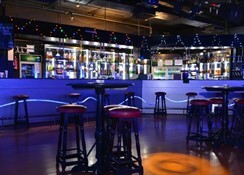 The hotel has a rooftop swimming pool, a nightclub and an English pub, as well as a bar with Karaoke. 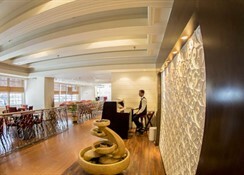 There are also 2 restaurants (1 offering Asian cuisine and another with an Indian menu) and conference facilities. Parking is available.